« Stanniocalcin: A Cancer Biomarker. Thank you for this seminal exposition of the most important aspects of HIV/AIDS, the first or among the first on this topic in this Open Access Online Scientific Journal. HIV/AIDS belongs to several Research Categories in the ONTOLOGY of the Journal. Chiefly, Immune system, infectious diseases, Gemonics testing for disease diagnostics, Nanotechnology in drug delivery, Population Health Management, Health Outcomes – your very rich paper addresses, them all. 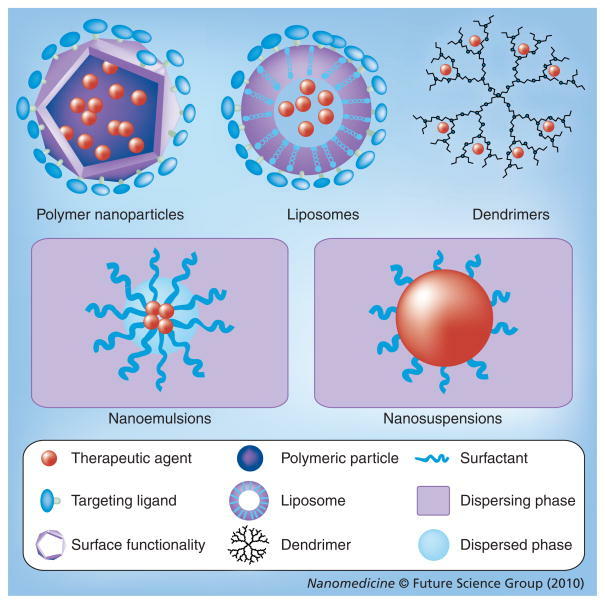 It will become a Chapter in the Forthoming e-Book on Nanotechnology in Drug Delivery, which you are the Editor of, we may wish to invite Guest Authors or this e-Book as well. I can envision, this paper being a chapter in an e-Book on Infectious Diseases and in an e-Book on Human Immune System. While you are demonstrating to us all your gifts in multitasking in the pursuit of Science, we are working to multi-purpose the content you create, in BIOLOGY it is known phenomenon and a process called Symbiosis. In ECONOMICS, it is caveated for it’s at most value, like catalysts in Chemistry, also known as, Intangibilities-derived Externalities. Very privileged, indeed to position your work for value creation on behalf of our Equity Sharing structured ventures. Here, we innovated in Scientific Discourse and in Business Structure using the Intellectual Property created by our Experts, Authors, Writers. Excellent article and great synopsis of HIV and some of the available treatments available. 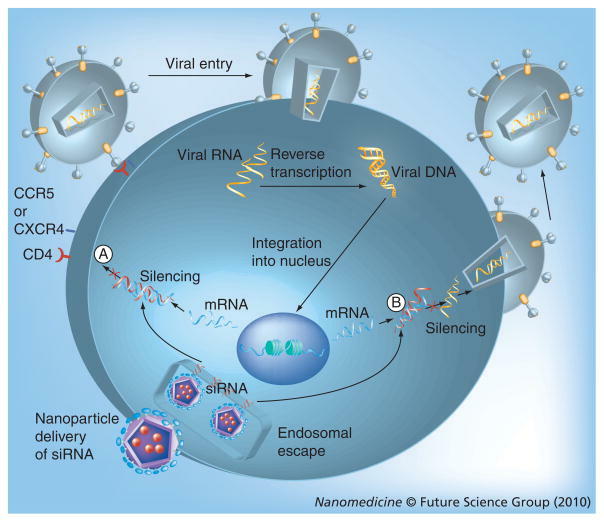 However, one brief question: You mention siRNA strategies against CD4, CCR5, and/or CXCR4, the major cell surface co-receptors responsible for viral entry. I was lead to believe that the mutation rate of the virus was at such a high level so as to preclude sequence-specific treatments such as RNAi. Any thoughts? Thank you Dr. Lev-Ari and Dr. Awan for your comments, much appreciated. Dr. Awan, yes, multiple mutations in the virus genome makes it very difficult to design gene-therapy including siRNA. Other researches try to overcome this hurdle by designing biospecific or multiple specific hairpins of RNAi constructs that may address/predict the different stages of the viral life-cycle. Thank you very much, I highly appreciate it!!! hello to you all, my name is Wendy Brimm , i am from Vegas here in united state, i wish to tell you all, how i find a doctor that cure me from SKIN CANCER, which i had for three years with his natural herbal medicine he gave to me , it all went this way, i was internet that very day when i saw a comment of a woman called MARIA KATRINA from united kingdom sharing her testimony about how this very doctor cured her of HIV, and he also cured AIDS too, but i never really believed but i just decided to give it a try and i contacted DR.ABEGBE, so he told me everything i needed to know and what to do to get cured and free from my cancer issue, so i went straight and make provisions for the herbs which he used to prepare medicine for me,i applied the medicine and just to see that the exact day which doctor DR.ABEGBE said i we be cured i was felling good and healthy at once, my strength was regained i went for check up in the hospital and my family doctor told me i am free from cancer my skin can back to normal, this was the greatest miracle that has happened to me in my life, and i promise doctor ABEGBE that i we share his good work to the world, these are few i can say about this DR.ABEGBE, i went with my family to thank him for his great work and solution in my life, wish i never expected this was possible, I we like you to contact him, by email: (DR.ABEGBESPELLHOME@HOTMAIL.COM OR DR.ABEGBESPELLHOME@GMAIL.COM +2348113017989 if you have any health issue i believe this doctor can help you out as well.